Welcome to Antique Woods and Colonial Restoration and more specifically Barn Home Designs Home Page. We started working tearing down barns in the early 70s to sell the siding and beams that became popular for home restorations at that time. Over the years, we have dismantled over a thousand barns, log and timber-frame homes, churches, covered bridges, train stations, privies, and other assorted sheds and early structures. After several years of dismantling and studying these structures, we completed the cycle and started rebuilding them as homes, offices, stores, art galleries, mills, movie and production studios, wine stores, horse barns, and many other creative re-uses of these magnificent historical artifacts. Today we have several independent experienced firms that do the dismantling of the frames under our supervision and then we bring them back to our shop in Upstate NY for cleaning, repairs, adaptations, and future sales. 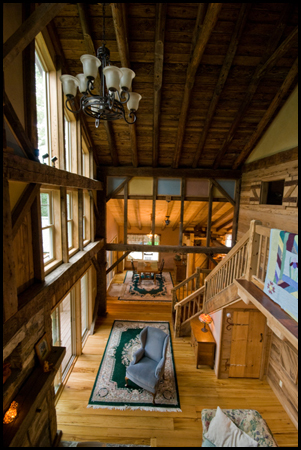 Our firm has helped to design and rebuild scores of barn – home conversions, timber frame additions, numerous antique log homes and other colonial structures. Please take the time browse through the photo gallery on our main web site. We also have extensive information on our sites about the entire process of repurposing barns and other early structures to new creative uses, especially homes. 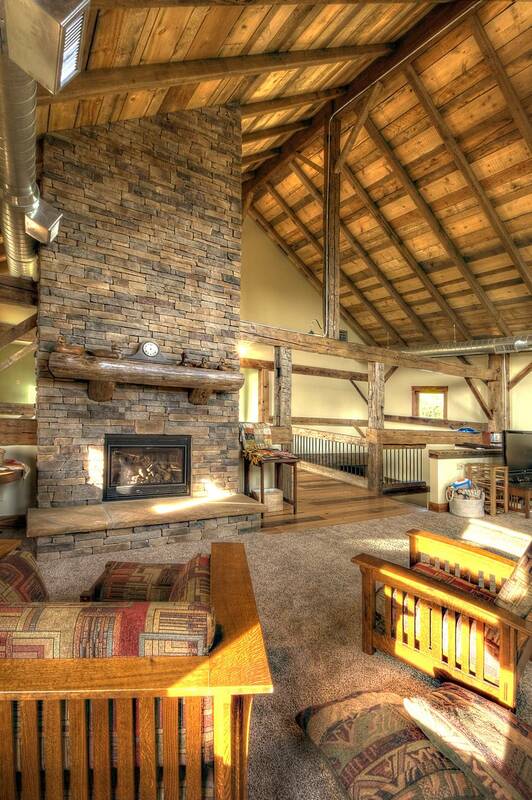 The design and overall construction drawings for your barn-home are extremely important if you want to build a well thought out conversion in the most cost effective manner. This phase may well make or break the relative success of the entire project, and we feel it is essential to have someone who has had some experience with designing and building historic barn frames, and experience working with vintage lumbers. 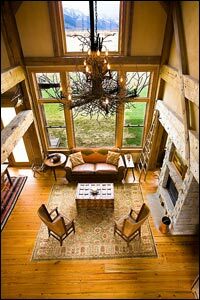 Although the antique barn-home-lumber business is a very unique and specific field and there are many aspects of it that are not obvious or merely common sense to builders or architects with little or no experience in this area . On many occasions we have helped our clients develop basic conceptual floor plans around a given barn frame, and then they bring in an architect or engineer to help with further development and refinement. Once completed, these can then be stamped and certified by the engineer/architect and be used to secure your building permit from the local building officer. We are willing to work with you to any stage of this process you desire, and welcome the opportunity to work with other skilled architects, engineers, builders and designers. 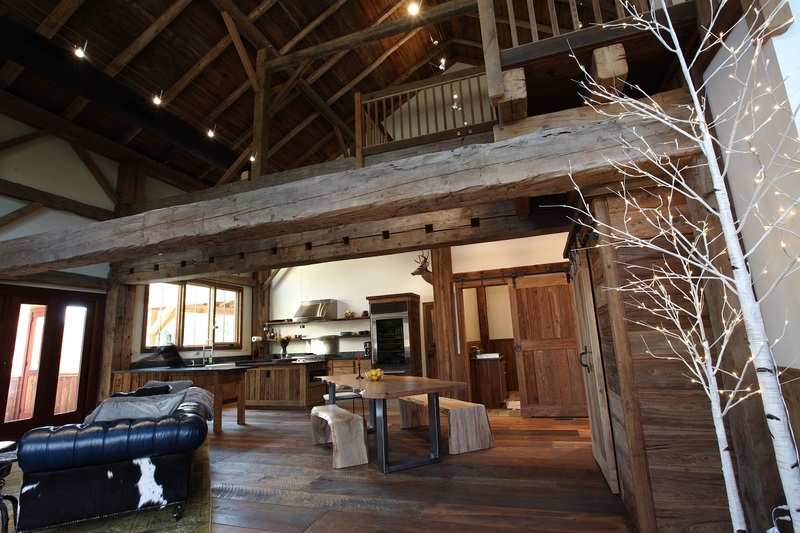 Whoever helps you, be sure that your barn home conversion plans and architectural drawings are intelligently conceived and attempt to maintain the integrity and timber configuration of the existing barn structure as much as possible. At the same time they should also incorporate your living space and floor plan requirements and your own individual personal tastes and desires. We believe that the more your home can be expressed within the given structure of the barn frame as it exists, the less money you will spend, and the more natural and harmonious your home will feel in the end. The first stage of the process is to help you determine how large of a home sq. footage wise you envision you need, and one that is within your budget, and then determine what size range of barn frames would be optimal to achieve that goal. Costs of barn home conversions (and homes in general) are a very difficult task to determine as so much depends on how big it is and what you put into your home. It is sort of like asking how much does a car cost? Having said that we have done enough of these over the years to have a fairly good feel of sq. footage costs to at least help you find a realistic range of the overall project. To do this we have to give some ball park ranges of how much you can spend on some of the big ticket items like kitchens and baths, windows, flooring, stone work and tile and fireplaces and still stay within that sq. footage range. One way to help keep your sq. footage costs down is to pick a smaller barn frame and design in some conventionally build additions for rooms like bedrooms and baths, mud rooms, or perhaps even kitchens. Small Barn Homes talks about this extensively. You can add some antique rafters or a few beams in these additions to help tie them into the barn frame look. We would also want to have your wish list of what you would like to see in the your home. How many bedrooms, baths, study, formal dining room or large kitchen etc. The size of the rooms of course will determine the size of the home so one way to help get your budget down is to make the rooms smaller. Still have 3 bedrooms, just smaller ones. 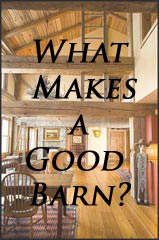 After the above is accomplished the next phase is to find and purchase a barn frame that works for your purposes. If we have helped you do the above then we already know your basic living space and floor plan requirements, and some of your ideas, tastes and wish lists you would like to have incorporated in your new barn home conversion. After a number of conversations with you about these issues, we take the barn frame drawings you were given when you purchased the frame and we start to do just basic drawings of floor plans that attempt to fit your home requirements into your frame. As mentioned before, we attempt to do this intelligently and creatively with as little changes to the frame as possible. This not only maintains the integrity of the barn frame itself, but also makes it more cost effective. We fax/email these basic developing plans back and forth on a regular basis so that we can proceed to move ahead with our drawings in a cost effective way based on your choices. We keep the drawings simple and to the point with few bells and whistles We do all our drawings by hand so this helps us keep these costs down as much as possible. We attempt to show you as many intelligent design options as possible that would help fit your home wish list into this frame as non-intrusively and harmoniously as possible. At the same time we attempt to keep you aware of the cost implications of all these options so that you can keep on top of your projected budget. I have seen too many house plans in my days that were deep sixed because budgets were not taken into account while the plans were being developed. You end up with beautiful home plans the owner unfortunately can’t afford to build. We see our involvement as helping – or perhaps enabling is a better word – you design your own home. 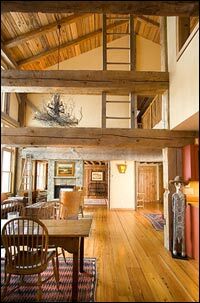 After the conceptual floor plans are developed we can also be of great assistance to you in picking out some other antique woods to use in your home including wide plank flooring, exposed roof sheathing, and many different kinds of wall paneling that will add greatly to the overall look and feel of your barn home. We have a large supply of these kinds of aged woods and offer a 20% discounted price on them when they go into one of our purchased barn frames. 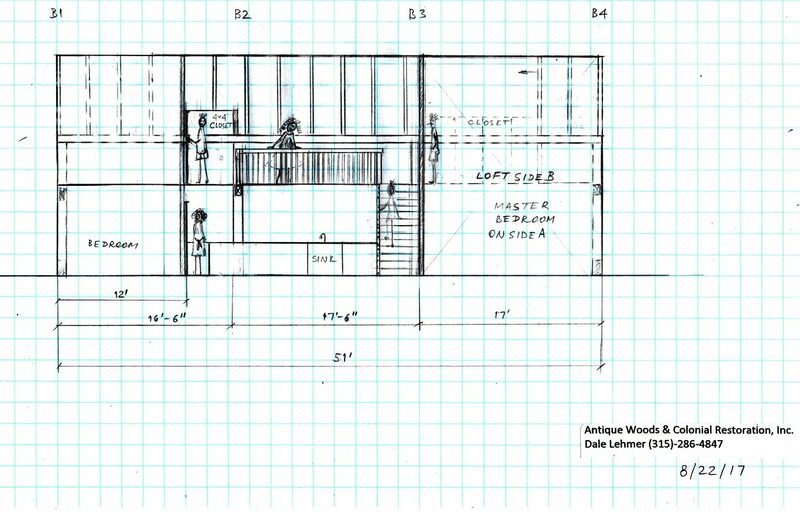 We can take these conceptual conversion drawings to any level that you want, including large prints, and then they must be reviewed, finished and stamped by an architect and/or engineer before any building can take place. We also have several engineers we have worked with in New York State area that can review them structurally and stamp them for building permits in certain states where they are licensed. Our design work and home plan drawings have been done with clients all over the country and we do it primarily through email and faxes. We don’t have to necessarily live close to your location, although it is a plus if we do. This is the basics of our design services. If you would like more information, just give us a call.